PEAK MILK "MAKE MY WISH COME TRUE" CONTEST. This Christmas, you and Peak Milk have the power to help someone build a bright future! By nominating the person who deserves this special gift. 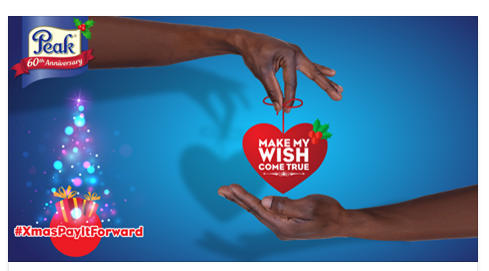 Don't forget to share your submission using the hashtag #XmasPayItForward. Nominees selected will come closer to their dreams! Contest runs until January 9th, 2016.